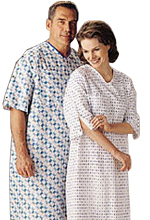 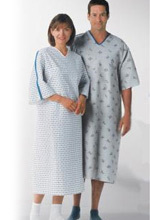 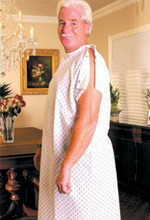 This Lunar Medical gown closes completely and comfortably, without embarrassing gaps, for total patient modesty. 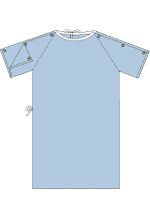 It is cut with a full 66" sweep. 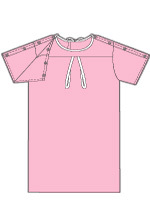 Features raglan sleeves for extra room and comfort. 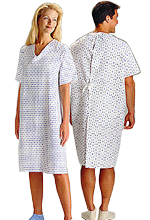 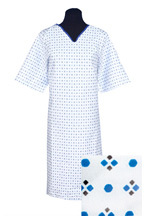 Deluxe Cut Patient Gowns with Tieside Closure for Maximum Coverage. 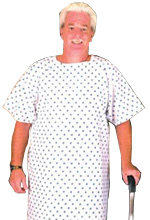 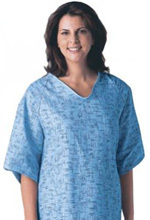 All hospital gowns are cut with a full 66" sweep and feature raglan sleeves for extra room and comfort. 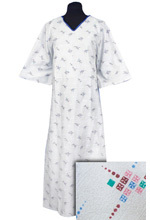 Wholesale gown Sold by The Dozen.